Is this familiar to you? My life is so busy and chaotic that I just don’t have time to think, or I have too many thoughts and feelings and just cannot make sense of them. Or even? I feel life has no purpose, I’m struggling to cope, make life decisions, move on or feel stuck. Do you ever feel some of your problems are getting worse rather than better and slowing you down? Does it ever feel like no one understands what you’re truly feeling? Whether its relationships, anxiety, depression, trauma, stress, phobias, fear, addiction, life changes, confidence, abuse, loss or some other issue that we learn to cope with but find it too hard to manage. We are a friendly consortium of Accredited, Certified and Registered Therapists who are all members of BACP and/or UKCP Professional bodies and follow their code of ethics. We work together to provide clients access to confidential counselling and psychotherapy. Between us we provide therapy for adults, couples, young people and provide specialist experience in Relationship therapy, Sexual difficulties, Trauma/PTSD therapy, Anxiety/Phobias, Depression, Clinical Hypnosis/Mindfulness, EMDR, and Abuse. 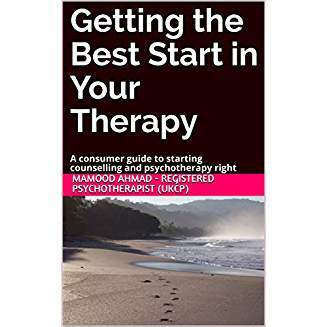 A choice of female and male therapists are available. We offer this support in a confidential, warm, respectful and non-judgmental environment, a safe place to be you, a place where positive change can happen when you’re ready. You can learn more about our therapists here. Our work is tailored around each individual; you lead the speed and methods of working. At no point would I expect you to do or say anything that you are not comfortable doing. I believe in working towards a place of mutual respect and trust. From that place change is possible. Our dedicated premises are located in Binfield on the border between Bracknell and Wokingham (Serving Crowthorne, Earley, Woodley, Winnersh, Ascot, Maidenhead, Twyford, Windsor, Eton, Sandhurst & Reading) in a safe, comfortable and quiet listed building called Egremont, which is in the picturesque and natural setting of Newbold College, in the village of Binfield. We offer our services online (through secure web conferencing, instant messaging & email ) and in home/work setting where appropriate. We hope you will find the information you are looking for on this site, if not please contact us on 01344 723151 and one of our therapists will answer your questions personally for free, or if you are ready, we can arrange a session. Alternatively, email PathTherapy@live.co.uk or leave a message here. Therapy is a journey of self discovery, healing and growth. A chance to uncover, feel and to connect with your true self. In the end It is an investment in yourself and your future.